Our partner for our Junior students is Intensive School of English (ISE) in Brighton. ISE offer Young Learners courses that are suitable for children and teens ages 8 – 17 and are delivered at ISE Hove Campus. The ISE Young Learner programme is a complete package of activity-based study, homestay accommodation, group activities, cultural visits, team sports and weekend excursions. Courses run from a single week to up to 12 weeks, allowing young students the chance to learn, have fun and make friends from all over the world. However, we’ve been able to arrange a study and activity based program working together with ISE for our Junior students, enabling them to stay with their parents and our other students in a more home friendly environment. Our Junior students will attend the ISE Young Learner programme from 9am through to 5pm and then rejoin our English in Italia students (and their parents) in our accommodation and on our other after school and weekend tours. The ISE Young Learner lessons are full of activities where the students get to use and practise their English. The ISE experienced and student-focused teachers make sure lessons are exciting and fun. Students study Monday to Friday mornings from 9:15 to 12:30, with two 10 minute breaks. Learning is activity based with an emphasis on speaking and building young students’ confidence in a second language. Groups are taught at up to 6 different levels with class sizes of 5 to 20. Students also receive homework to be completed for the next day. The ISE teaching staff are carefully selected to work with young students and have specific Young Learners qualifications and experience. They work to develop each student’s English Language to the best of their abilities using a range of communicative classroom techniques. ISE is also a teacher training centre, producing 100 graduate teachers per year. Many of their “home grown” teachers teach ISE Young Learners. 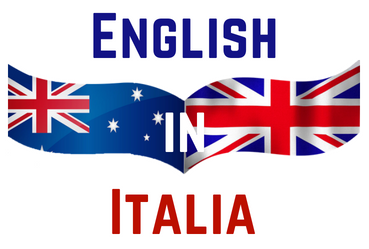 ISE has many different nationalities at the school and English is the only language used in class! Expect to meet and greet students from all over the world! ISE Young Learner activities include: Paddleboarding, Beach Volleyball, Cinema, Football Coaching, Ten Pin Bowling, Indoor Rock Climbing, Racketball, Treasure Hunt, Ghost Walk, Hip Hop and Salsa Dance Workshop, Brighton Horse Races visit, Sea Fishing, Raft Building (& Testing! ), Sea Canoeing, River Kayaking, Mountain Biking, Football, Basketball, Tennis, Kung Fu, Pottery Class, Evening Disco, Team Frisbee, Rounders/Baseball and Park Olympics.